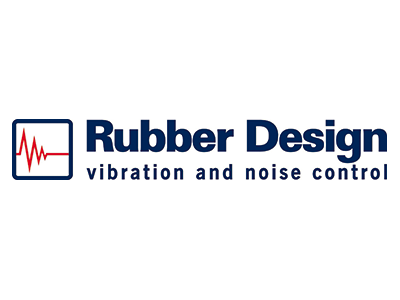 Established in 1979 Rubber Design is one of the international leading specialists in offering solutions for vibration, noise and shock related problems. Rubber Design specialise in anti-vibration technology by combating vibration and noise problems by isolating the source of the disturbance. With accurate calculation of data and a commitment to ‘solving any problem’ Rubber Design are able to effectively apply the latest standard of product, and embrace the development of unique bespoke solutions should the need arise. MIT represent Rubber Design in the UK and are proud of this strong relationship, tailoring our customer needs with Rubber Design solutions for a variety of applications. Rubber Design anti-vibration mountings are vibration and noise isolators suitable for a variety of vibration producing machinery, including internal combustion engines, generator sets, pumps, compressors, centrifuges and also instrument panels, switch boxes and control cabins. Multi-purpose mounts allow mobile applications on trucks and on board of ships. They achieve an optimum result and are maintenance free. Steel spring isolators are designed for land based installations with high vibration isolation. Typical applications for the standard mountings are for example generator sets, air conditioning machines and electrical equipment. The medium and heavy duty isolators are designed for industrial machinery such as fans and shredders, boilers and even complete power plants. Rubber Design’s range of conical mountings is designed specially for medium speed engines providing high deflection and load capacity combined with long service life. Although originally designed for main engines, auxiliary engines and generator installations, these mounts are particularly versatile and can be equally used for exhaust gas boilers and silencers and structural suspensions. This mounting is an excellent isolator against structure borne vibration and noise, passive isolation. Rubber Design are leading the way in the control of shock and vibration onboard naval vessels – with a product portfolio designed to protect the sensitive and essential equipment they carry. The Rubber Design shock mountings are developed to provide maximum protection to a particular groups of equipment. The RDS shock mountings are suitable for marine applications such as propulsion engines, and diesel generator sets. The unique EPM mountings provide the ideal solution to protect small rotary equipment, such as, water makers, pump sets, generator sets and hydro-packs. Sandwich mountings are manufactured for main and auxiliary engines and gearboxes. Cable mountings combine the characteristics of all-metal multidirectional anti-vibration and anti-shock mountings and can be used for the isolation and protection of sensitive electronic equipment, generators, pumps and compressors. Rubber Design develops and produces a wide range of bellows and compensators that provide the compensation of thermal or mechanical movements, absorption and isolation of vibration, noise and shock. Single bellows units are used to absorb axial movement, while double units are used where lateral movement is present. Rubber Design supplies a stainless steel bellows with a low stiffness, which achieves in combination with the flexible suspension, the best control of vibrations and forces in pipe systems which provides optimal lifetime. Rubber compensators are of the highest quality to guarantee maximum safety and performance. This has developed in to a wide range of range of products that over the years have proven their quality and durability for cooling water, fuel and lubrication oil pipe work systems. Rubber Design has extensive experience in the control of exhaust vibrations and noise emissions, and are able to offer total solutions to the unwanted effects from exhaust systems. Rubber Design combines the benefits of various products, using hanging and standing flexible fixed points as well as stabilizers to reduce the noise and vibration transmission to the ship structure, along with controlling the thermal expansion to the stainless steel bellows in the exhaust system. Rubber Design is a leading specialis in offering a range of anti-vibration solutions and associated marine propulsion equipment to an industry that relies on performance – even when running on top speed or in heavy weather, never compromising the comfort of passengers. Rubber Design, via MIT, can perform a complete dynamic analysis of a vessel’s propulsion system in order to select the correct coupling and engine mounts for each application. CAD drawings (2D/3D) of the thrust blocks and ERD marine couplings are available in different formats and can be easily imported into the CAD drawing of the complete propeller shaft installation. All thrust blocks and ERD marine couplings can be delivered with the required classification approval. The MecLev® is an adjustable and re-usable steel mounting chock, that can be used for mounting all types of rotating or critically aligned machinery. The MecLev® is a mechanical stiff chock that is very easy to install and makes machinery alignment more simple, accurate and quick! The self-levelling feature (spherical top part adjust itself to the correct angle when installing the element) in combination with height adjustment, helps eliminate the risk of soft foot problems underneath your machinery! MecLev ® elements are designed by people with more than 25 years of field experience. The MecLev ® design Years of field experience, combined with the newest calculation methods have resulted in an exceptional design with already proven success, making MecLev ® the best adjustable chock design on the market.